HUBBARD Funeral services will be held on Tuesday February 5, 2019 at 10:00 AM at Kelley-Robb-Cummins Funeral Home with Rev. Michael Swierz officiating for Lois M. Starr Davis, 82, who died Wednesday evening January 30, 2019 at Sharon Regional Hospital. She was born July 17, 1936 in Youngstown, a daughter of Lawrence W. and Elizabeth King Starr and was a lifelong Hubbard resident. Mrs. Davis, a 1955 graduate of Ursuline High School was a member of St. Patrick Roman Catholic Church. She was the head of medical records at St. Elizabeth Hospital for 25 years, retiring in 1996. Lois had a passion for cooking, enjoyed playing cards and loved spending time with her grandchildren and great grandchildren. Her husband, Glen Elmer Davis, whom she married September 15, 1956, died May 30, 2000. 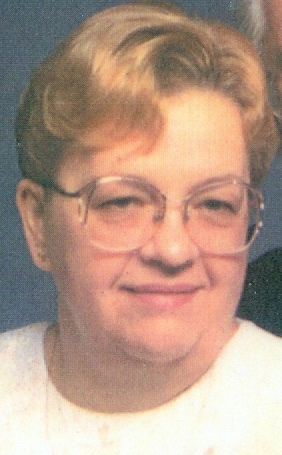 Lois leaves two sons, Glen E. Davis Jr. of Hubbard and Gregory E. Davis and his wife Tammy of Hubbard; 4 grandchildren and 3 great grandchildren. She was preceded in death by her parents; her husband; a daughter, Lois M. Gallagher and a brother, Lawrence Starr Jr.
Family and friends may call on Monday February 4, 2019 from 6:00 PM to 8:00 PM at the Kelley-Robb-Cummins Funeral Home. Interment will be at Tod Homestead Cemetery.